Shopify is a great platform but lacks support for multilingual storefronts. Because of that, store owners have to stick with one language at all times. On the other hand, clients shop from all around the world and expect your store to be available in their preferred language. 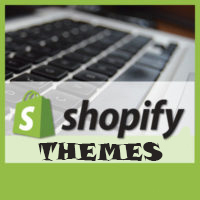 The below Shopify apps help you make multi language website in Shopify. Weglot helps you to grow and increase your business by adding new languages to your store. Weglot Translate detects and translates all your content in any language and provides a unique dashboard to easily edit translations or order professional translations. GTranslate plugin uses Google Translate automatic translation service to translate Shopify shop with Google power and make it multilingual. With 103 available languages your site will be available globally upon installation for free. Compared to other translation apps for Shopify, GTranslate offer most of their features for free. In addition to that, GTranslate can offer complete SEO features, which can make your shop to be found in search engines in different languages which will increase your international traffic and sales. GTranslate is a leading website translation services provider since 2008. It moves away the language barriers increasing chances for successful conversion. Panda Language Translation improve your business Internationally. Panda Language Translate has been built by keeping with simplicity in mind. After installing this App you can start translating instantly without having to prepare your themes and different contents for translations. Improve conversion by speaking your visitors language. Redirected to your shop matching their preferred language so customers from all around the world expect your store to be available in their preferred language. Allow an option to choose their own preferred language with flag option. Multi Lingo is a professional translation tool. Multi Lingo allows you to create multi-language versions of any Shopify theme and lets you enter translations for products, pages, menu items, homepage texts, Email notifications, checkout and blog articles. Multi Lingo blends right in with Shopify’s localization mechanism and automatically integrates existing theme translations. On top of that Multi Lingo also supports automatic translations on a per-item basis through the Yandex translation engine.